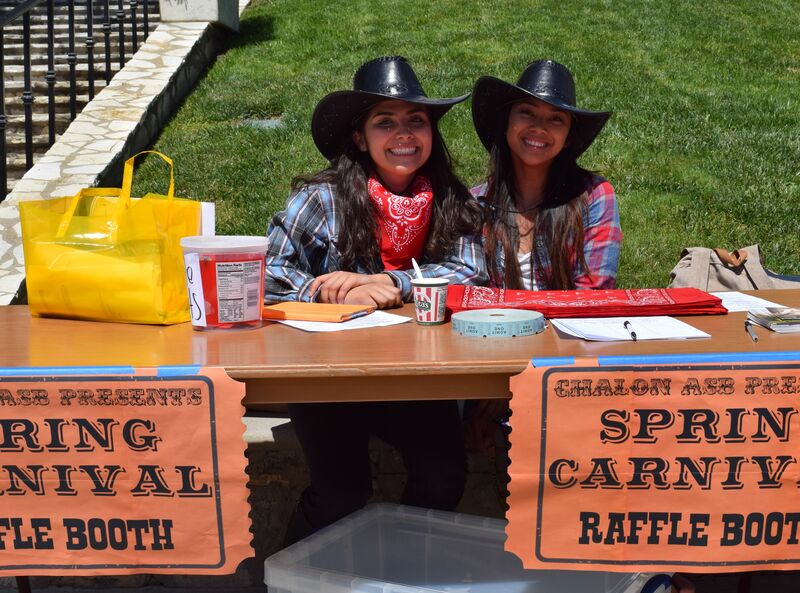 ASB’s Blanca Dueñas(left) and Aimee Reyes handing out tickets and red bandannas to all participants. Mount Saint Mary’s University’s Athenians tied on red bandannas, cowboy boots, and hats, on April 9 for the 2015 Spring Carnival in support of the MaxLove Project. 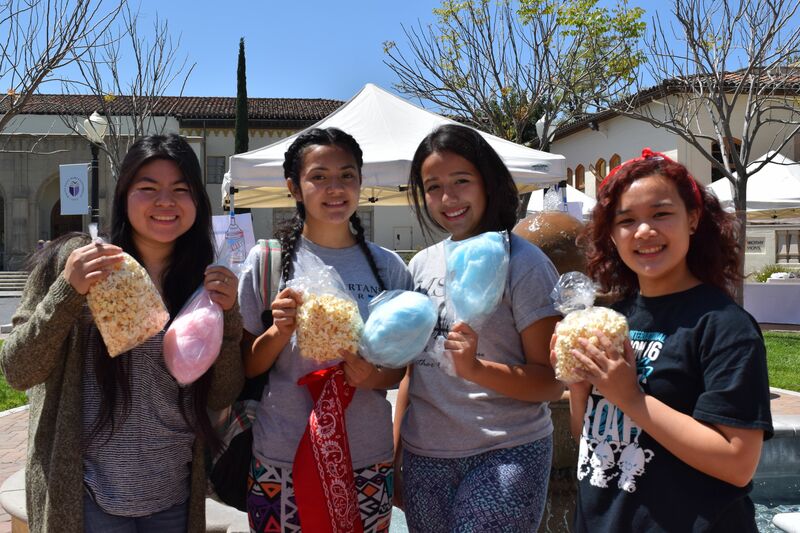 The Chalon Associated Student Body hosted their annual fun-filled event and in addition chose to raise donations for a charity of their choice, making this year’s carnival the first of its kind. 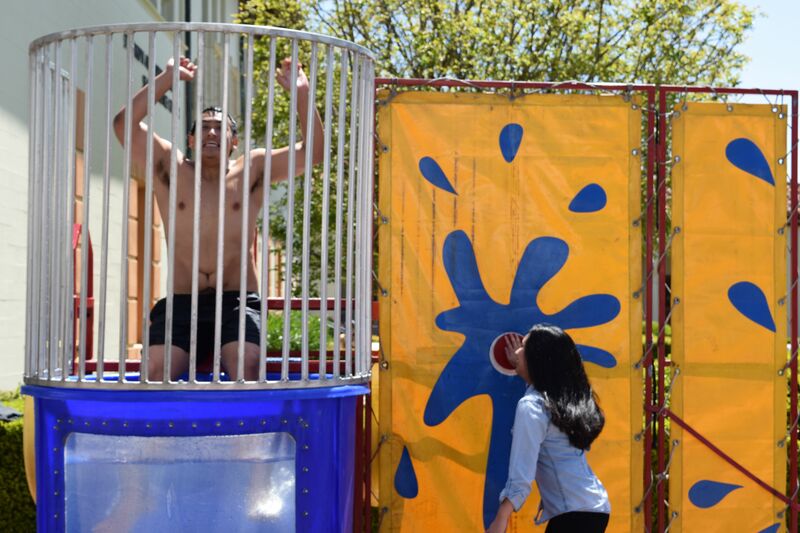 Students take a shot at the Dunk Tank. Their foundation of choice is a nonprofit organization dedicated to providing practical, child-friendly, and accessible wellness to families combating childhood life-threatening conditions, including cancer. With MaxLove Project’s motto, “[h]elping SuperKids thrive against the odds,” ASB recorded students participating throughout the event to send footage over to The Ellen DeGeneres Show and give Max a chance at appearing on the show. Student dunks ASB President, Sean Balba. 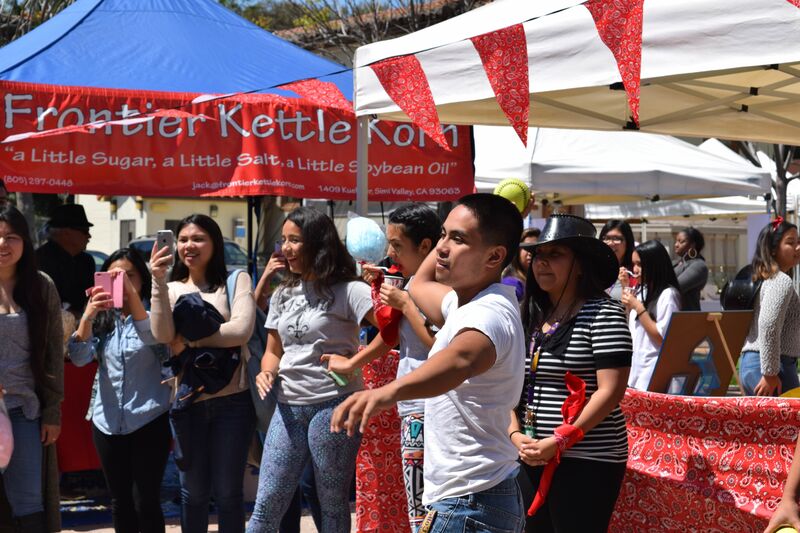 The event was also created to make students “feel appreciated for all their hard work and remember to have a little time to have some fun,” just as finals approach. Students lined up to get their share of delicious cotton candy, kettle corn popcorn, and Rita’s Italian Ice. They took part in events such as laser tag, dunk tank, the whipped cream pie booth, photo booth, soda saloons, and much more. Those who coordinated the event, volunteered and participated shared that they cannot wait for next year’s carnival and chosen foundation. Students enjoying the Mount’s Spring Carnival with kettle corn popcorn and cotton candy. If you would like to learn more about SuperMax and the MaxLove Project, please visit their website at maxlove.org and stay tuned for more events at the Mount.